±70 ACRES * HOME * BARNS * WOODS * POND * FREE GAS * POOL * LOTS OF ROAD FRONTAGE!! 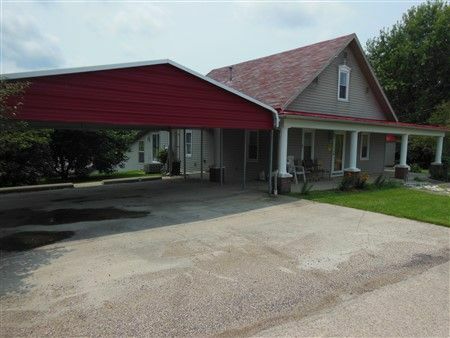 Here’s a property that has 70.27 acres M/L with a 1½ story house with 3 bedrooms, 1½ baths, kitchen/dining combo, living room. Property also offers a swimming pool house with full bath & a detached garage!! Home contains Series RTS Generac Gas Generator, Central A/C, drilled well, septic, 200 AMP breaker box. Property is equipped with FREE natural gas from gas well on the farm!! 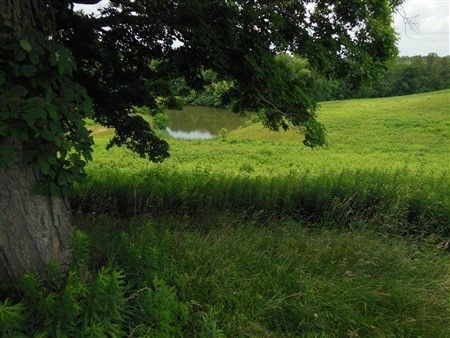 These 70 acres have several pine groves, pond, woods, pasture, vintage bank barn, garages, abundant road frontage on both sides of Locus Grove Road, and scenic views overlooking the pond below!!! NOTE: Guns will ONLY be on site AUCTION DAY FOR PREVIEW 4.5mm .177 Marksman Repeater Air Pistol BB calibers, Serial unknown, last #18; Armi-Galesi-Brevetto, 22 cal., Serial 115436; SS Pistol J. P. Sauer & Sohn, Suhl 7.65 cal., Serial 362543; Crossman Air-Gun rifle, model 2100, .177 cal. Pellet/BB Repeater, Serial 585215138; J. C. Higgins, model 583.24, Sears Roebuck & Company, 16 gauge 2 3/4 chamber; Plainsman, model 865, 22 cal., S.L.L.R. Harrington & Richardson, Inc.; West Pointe, model 948, Stevens Arms, .410 gauge; Remington Target Master, model 4, 22 short or long; West Pointe, model 167 Stevens Arms, 20 gauge, Serial A439361; Game Master Remington, model 760 with Weaver scope & sling, .30-06, Serial 64178 with 2 mags & case; gun case. Assorted furniture, household goods & box lots. Real Estate Terms: $50,000 Minimum bid; $5,000 down at time of auction in cash or check w/photo ID; balance & possession at closing on/before 11/10/15; taxes will be prorated to closing date; offered free & clear prior to closing; sold in as-is condition; no buyer's contingencies exist. Personal Property Terms: Registration required; photo ID; payment in full by cash or check at time of sale; sold as-is where-is w/all faults; information to be utilized only as a guide. Taxes & Legal: Vinton Co. Auditor reports Homestead Annual Tax: $1,539.98; Parcel No. 08-00143.000 & 08-00142.000. E. Pauline Young Estate, VCPC Case No. 2015-1006, Roger A. Young & Terry A Young, Executors, Joseph E. Motes, Atty.